The story for the New Hampshire market has been on repeat all year – the commercial real estate market is tightening! In both the office and industrial markets, occupancy rates continue to rise, while rents remain consistent. Both office and industrial vacancy dropped year-over-year, with office ending the third quarter at 9.87% and industrial at 5.07%. We saw a few deals in the office market, but the industrial market had significant activity this quarter. The Salem submarket showed the biggest decrease in vacancy, by 3.25%, year-over-year. Two significant sales in this submarket occurred in Derry. Tri-K Industries purchased a 40,000 s/f warehouse/distribution building at 20 A St. for $2.075 million. Down the street, a 23,000 s/f R&D/flex building at 6 A St. sold to Tetler & Co. of Hampstead for $1.075 million. Both of these buildings were on the market and vacant for several years. In Salem, Scott Electronics purchased half of the building at 5 Industrial Way. The company outgrew its current home at 33 Northwestern Dr., a 20,800 s/f building, and could not expand on the lot. It is now renovating part of its new space and plans to expand into the remaining space in the near future. In the last year, the company has added more than 34 employees and plans to continue its growth. The Nashua submarket saw substantial movement in its industrial market, resulting in a drop in the vacancy rate. At 85 Northwest Blvd. in Nashua, about 24,400 s/f leased this quarter bringing the building to full occupancy. DAPR Engineering leased 19,400 s/f and Impact Science & Tech expanded into the remaining space. Also in the Nashua submarket, Spraying Systems Co. moved its East Coast operations from a 40,000 s/f facility at 22 Flagstone Dr. in Hudson to a 120,000 s/f general industrial building at 243 DW Highway in Merrimack. The building was purchased at the end of December 2016, but sat vacant as it underwent major renovations. Now that renovations are complete, the company is tripling its footprint with the move and plans on hiring more employees. On top of the increased number of tenants moving and expanding in the industrial market, we also saw some industrial investment sales. One significant sales that occurred this quarter was 4 Kitty Hawk Landing, in Londonderry, which sold for $5.5 million to a local investor. This 65,515 s/f general industrial building is the longtime home to Klubber Lubrication. Also, on the Seacoast, at 111 Ledge Rd. in Seabrook, the 32,000 s/f home of DMG Mori, sold for $3.6 million to an out-of-state investor. Even though the industrial market is tight, large blocks of 100,000 to over 400,000 s/f are still available in a few locations in the state. For example, the former FW Webb building in Amherst offers large blocks of 80,000 to 389,000 s/f and the former BJs Wholesale Club in Hooksett, which was reclassified from retail to traditional industrial after its recent sale, is comprised of 109,000 s/f. The new owner plans to lease out the building as warehouse/distribution space, but it is unclear if there is the option to subdivide. These examples highlight the availability of large blocks of space, but the inventory for small or medium size space remains scarce, leaving smaller tenant’s needs unmet. It is possible that we are approaching the point where the remaining industrial inventory does not meet the needs of companies and other users that are in the market for new space. Available space does not either have the right amenities (ceiling height, power, etc), or it does not meet the location requirement. This dilemma is pushing some users towards new construction. For example, in Litchfield, LKQ Corp. began construction on a 36,000 s/f warehouse/distribution building that meets its facility requirements, including 40’ clear height and 20 loading docks, which are features not available in the current market. In the Manchester submarket, LYMO Construction outgrew its space in Merrimack and decided to construct a 26,000 s/f headquarters in Londonderry to showcase its expertise. LYMO is a building envelope and exterior cladding provider. Its new building features a cladding system that creates an insulated building envelope that exceeds LEED Platinum performance criteria. Something will have to “give” if the positive market demands continue. If you leave out properties that have, or are reaching, functional obsolescence, industrial vacancy rates are nearing the point of full capacity. There are only so many larger facilities that can be subdivided and repositioned to meet the market’s average size requirement – typically 10,000 to 20,000 s/f. Users that can and want to own real estate will continue to drive a reasonable amount of construction in the state. However, the market is becoming very challenging for the large number of users looking to lease space. There are three directions the market can go in, either lease rates will have to increase to the point that construction of multi-tenant facilities becomes economically feasible, tenants will have to become owners (assuming they can), or look to other markets to solve their space needs. It is a good problem for a market to have, but one that will have to be solved to allow this growth to continue. 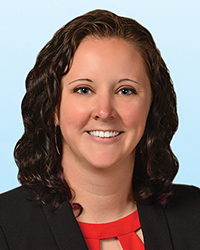 Kristie Kyzer is research manager for Colliers International | New Hampshire, Manchester, N.H.